In Mongolia, researchers discovered the mummified remains of a 200-year-old Buddhist monk sitting in the lotus position as if he were still meditating. 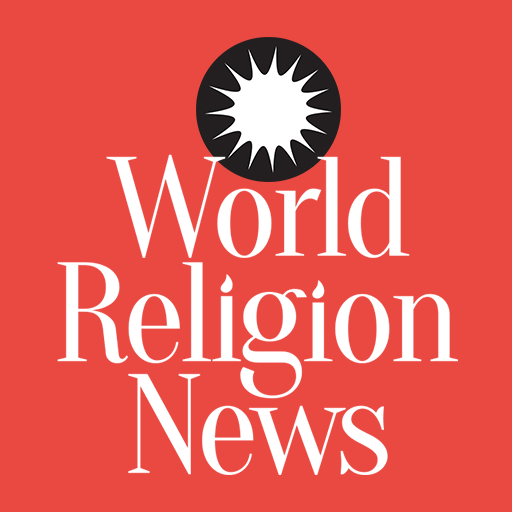 The mummified remains of a Buddhist monk have been discovered in Mongolia. While not wrapped in bandages like an Egyptian mummy, the centuries old monk was found meditating in the lotus position. Although only simple visual tests have been conducted so far, early estimates indicate that the body is around 200 years old. Amazingly, after all these years, there seems to be no visible signs of decay. While details of how or where exactly in the Songinokhairkhan province the body was found have not been released, we do know the that it was discovered covered in cattle skin; although, even the type of cattle skin – camel, cow, or horse – is not even known yet. The body of the mummified monk was brought to the Ulaanbataar National Centre of Forensic Expertise for further analysis. 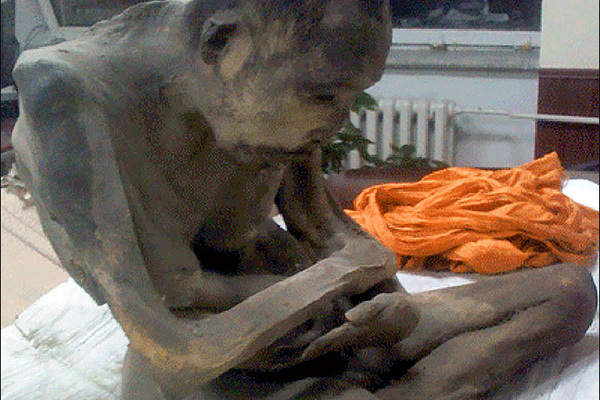 Experts there hope to discover how old this mummy monk is, how he was so well preserved, and maybe even who he was. The practice of self-preservation in Buddhism is known as Sokushinbutsu. It is an historic tradition dating back to 11th century. Sokushinbutsu mainly has roots in northern Japan, and it was considered to be an act of ultimate religious devotion, even more sacred than suicide. However, the practices of the monks in Japan were nowhere near as successful at preserving their bodies. It is believed that this mummified monk is a teacher of Lama Dashi-Dorzho Itigilov who was also buried seated in the lotus position and has remained remarkably preserved since his death in 1927. Several years after his death, some Buddhist monks checked the Itigilov’s body and reported that it was still preserved, but did not reveal the confirmation to the public. In 2002, his body was finally exhumed and now sits on display. Scientists claim that it has been preserved so well that it seems as if it died barely 2 days ago.